Like their namesake heirloom apple variety, Red June has strong roots in the Appalachian tradition while constantly forging new ground in Americana music. 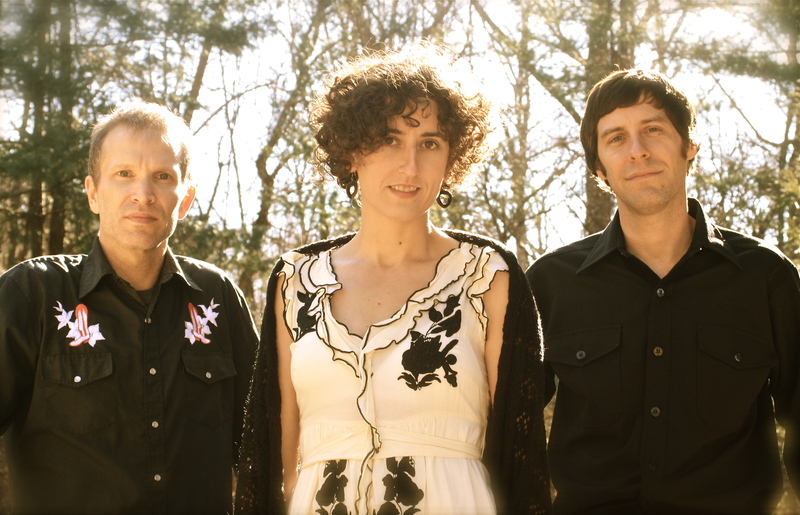 Red June is an acoustic trio based in Asheville, NC who creates and performs beautifully distilled Americana music. They are making waves with their dynamic, yet refined sound that features striking 3-part harmonies, tasteful instrumental work and honest, soulful songwriting that seamlessly blends old-time, bluegrass, roots rock and traditional country music. 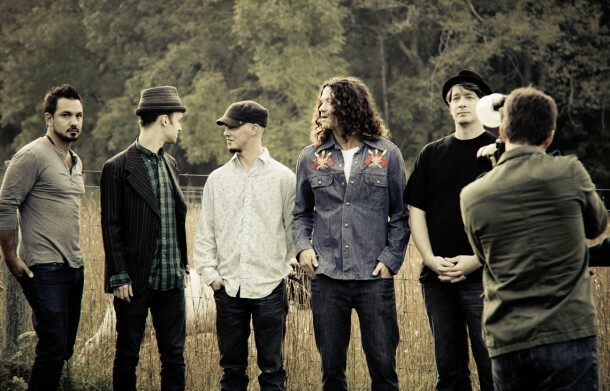 Poised to release their second full-length album, Beauty Will Come, on June 5th, 2012, listeners can expect an album to fall in love with. “The record is a brilliant integration of old-time, bluegrass, and beyond, and feels like a holding of hands… the blend is beautiful,” says singer/songwriter Kari Sickenberger of Polecat Creek. The Honeycutters are excited to introduce their second full length studio release, When Bitter Met Sweet on June 5th, 2012. They are hosting their Asheville CD release show at the Grey Eagle on Saturday, May 5th. Copies of the album will be available at the show. Moses Atwood opens the show, which starts at 8pm sharp. The Honeycutters will also be making an appearance on WNCW’s Studio B during the 11 o’clock AM hour on Thursday, May 3rd… tune in at http://wncw.org. Like their first release, Irene, When Bitter Met Sweet features singer/songwriter Amanda Anne Platt, who has been hailed as “one of the best songwriters coming out of WNC these days” by WNCW programming director Martin Anderson. Peter James accompanies her on lead and rhythm guitar as well as harmony vocals. They are backed up by Tal Taylor’s signature mandolin playing, Ian Harrod on bass, and Jon Ashley on drums creating an original brand of Americana that has proved equally appealing to both the musician and the music lover, the country and the city, and the old and the young. Platt’s songs are shaped by a raw honesty that comes straight from the heart and emits a sort of melancholy happiness. The album features 11 tracks that touch upon childhood and loss of innocence, finding a sense of belonging and one’s voice, truth, love and patience, traveling and embarking on new life-journeys (and the fears that go along with these), and the understanding that comes about when life’s circumstances come full circle. The song “90 Miles (The Tennessee Song)” is featured on Blue Ridge Outdoors Trailmix for 2012 Merlefest Artists. It was written after her first trip to International Folk Alliance in 2010, an event that can be quite overwhelming at first. An admitted introvert, Amanda was faced with the challenges of how to be heard amongst all of the activity of events such as these. And make herself heard is exactly what she went on to do; becoming a finalist at 2011 Merlefest’s Chris Austin songwriting contest for her song song “Little Bird” (unrecorded). She was asked to return as a guest judge for the contest, along with Jim Lauderdale, for the 2012 Merlefest (Where The Honeycutters will also be performing a few sets this year). The same song won first place in the Great Lakes Song Contest in February 2012. “All I Got, ” is a song Amanda calls, “a love song I wrote a long, long time ago, before I had actually ever been in love” and was selected for WNCW’s 2010 Crowd Around the Mic Vol. 14. “Fancy Car” features Platt’s father on harmonica. He also sits in on “Not Over Yet” which she says that when she sings it she imagines a child leaving home for the first time, wanting freedom but scared of what it might cost. When Bitter Met Sweet was co-produced by Amanda and Peter with the assistance of Aaron Price, and was recorded at Echo Mountain Studios in Asheville, NC after securing funding through a successful Kickstarter campaign. Along with the full band, many special guests make appearances on the album including Matt Smith (pedal steel and dobro), Nicky Sanders (fiddle), Mark Platt (harmonica), Je Widenhouse (coronet), and on drums Mike Rhodes and Richard Foulk and for various songs. The album was engineered (and partially mixed) by Jon Ashley with the assistance of Julian Dreyer, mixed by John Keane and mastered by Dave Harris at Studio B Mastering in Charlotte, NC. Their first full length studio release Irene, released in May 2009, has landed them in Ian Hughes’ NoDepression Podcast’s Top 20 of 2009, Fret Knot Radio Hour’s “Nine you need to know from ’09”, and #32 in WNCW’s listener voted Top 100 of 2009. Since putting out Irene the Honeycutters have shared the stage with such Americana favorites as Tony Rice, The Greencards, Jill Andrews, The Steep Canyon Rangers, Donna the Buffalo, and The Seldom Scene. They have been voted Western North Carolina’s favorite local Americana act (2011 Mountain Xpress reader’s poll) and delighted audiences from upstate New York to Seattle, Washington. They are currently touring around the release of When Bitter Met Sweet. Stay tuned to thehoneycutters.com for more news about the album and their tour. “Amanda’s lyrics are both sardonic and sweet, which adds a contemporary element to their country twanged Americana sound [which] is more influenced by the harmonic tendencies of country singers like Johnny Cash and June Carter” —Folk to Folk Blog.